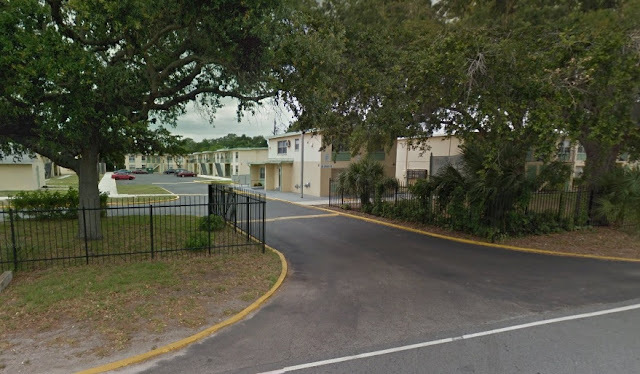 MERRITT ISLAND, Florida - A Brevard County man died after being shot around 10 p.m. on Sunday at the Tropical Manor Apartments located at 1165 Jordan Road on Merritt Island. When deputies arrived on scene in response to reports of gunfire, they found the victim suffering from a gunshot wound. The man was transported to the hospital where he later succumbed to his injuries and was pronounced deceased. Sheriff's investigators are seeking anyone with information about this incident to please contact Agent Deavers of the Brevard County Sheriff’s Office Homicide Unit via the Sheriff’s Office Communications Center at (321) 633-7162 or CRIMELINE at 1-800- 423-TIPS (8477). You can also visit http://crimeline.org/, or text ‘crimeline’ plus your tip to CRIME (274637). All information to CRIMELINE is confidential and you may be eligible for a reward.